ANYONE WHO KNOWS the pain of having to watch a video in a game just for some in-game credits, such days could be a thing of the past on iOS. 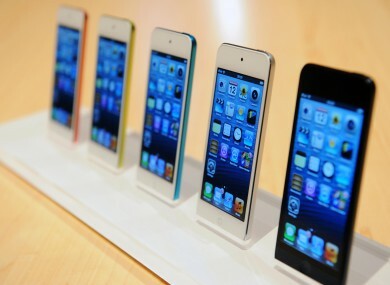 Apple has begun to crack down on apps that offer rewards to users for watching videos or for social sharing. This could mean the possibility of receiving numerous invites for games on the site could be a less frequent occurrence. According to TechCrunch, a number of app developers have received rejection notices from Apple’s review team, stating their apps are encouraging users to share to Facebook and other sites to gain in-game rewards. Alongside that, Apple is also rejecting apps that promote other apps. In the case of one developer, he released his app four times previously, and the update was only a “reskin” that changed the graphics. His app was rejected for promoting apps that weren’t his own and for offering free in-game credits for watching videos of other apps that weren’t his own. Apple’s approval process for apps tends to be inconsistent at best, with the company usually being vague about why it rejects apps. Providing incentives for sharing on Facebook or watching videos to gain credits is a popular tactic for many free to play games, helping them bring new users in and places the app in a higher position in the most downloaded charts, and boost revenue. Email “Apple takes a firm stance against apps that reward social sharing ”. Feedback on “Apple takes a firm stance against apps that reward social sharing ”.